The ‘Recruiter versus Robot’ debate is alive and well. Advancements in technology have produced a plethora of marketing automation tools and state-of-the-art ATS and CRM systems for recruiters, so dare we ask the question – is it possible that the human element of placing a candidate in a new job is something that eventually won’t be necessary? Who knows what the distant future holds for recruitment – technology is moving at the speed of light, after all! 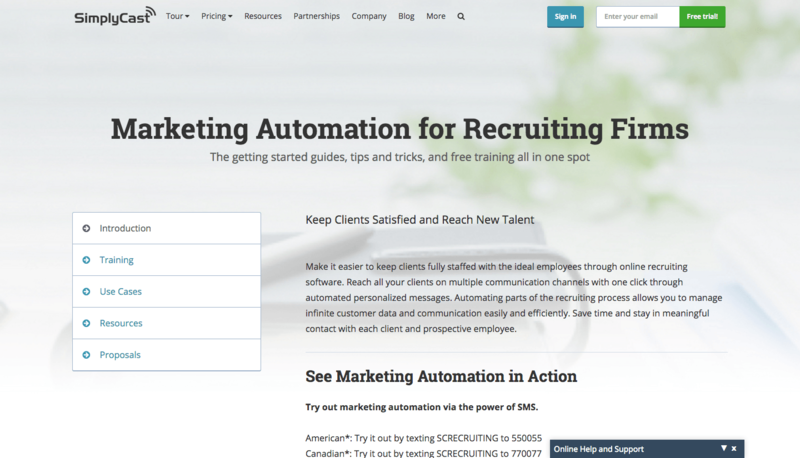 What we do know, however, is this – recruitment automation tools harness the power to massively streamline certain tasks for recruiters right now…but wait – there’s a catch! This is ONLY so long as you don’t drop the ball on the things that require actual human interaction – things like creating an excellent candidate experience, following through with a structured onboarding process, and making sure that you maintain an honourable reputation. Automation tools should enhance your productivity, not do your entire job for you. Remember this, and you can really gain a lot from using some of the platforms that are currently on offer for recruiters. Today, we’re looking at some of the best automation tools on the market, and how they can potentially make your day-to-day lives much easier! 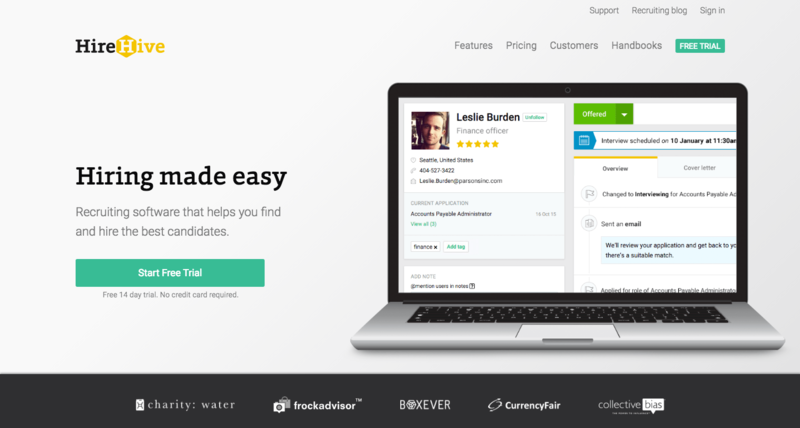 What’s it all about: Beamery is a platform that claims to have the power to increase response rates by 400% and shave hours off a recruiter’s workday. The company ethos is to ‘treat candidates like customers’, so it uses data science to provide powerful insights into every candidate relationship and lets you automatically prioritise high-value talent. Key Features: The platform automatically syncs candidates social, professional and email data to give you context for every conversation you have with them about potential opportunities. You can also set up simple rules to segment your pipeline and build email drip campaigns, which involves crafting a sequence of emails to send to candidates based on triggers in the system – for instance, if a candidate doesn’t open the email a follow-up is sent. If a candidate replies, the system responds with extra info on the job. The tool pulls personal information from social profiles so that emails sent are highly personalised. The platform also allows you to design SEO-optimised landing pages to give candidates a personalised application experience. The customised page could have a job posting and description that is relevant to the candidate’s experience as well as sections such as ‘Meet the Team’, ‘A Day in the Life’, etc. This should provide the candidate with everything they need to know about the company. What’s it all about: Clinch’s goal is ‘to make the world of hiring more inbound, one business transformation after another’. 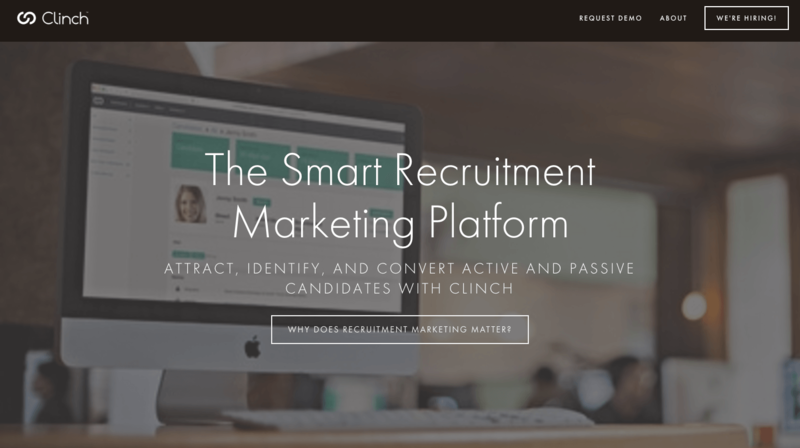 The platform combines content marketing and talent acquisition to help recruiters identify, engage and convert candidates – even the ones that demonstrate an interest in your company but for some reason, don’t apply for positions. Key Features: The Clinch Talent promotion tool automates social sharing for your recruitment marketing content. 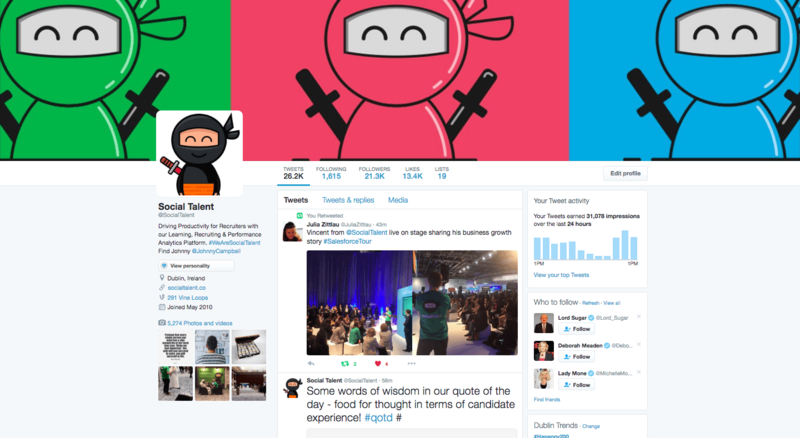 You can post updates on Facebook, Twitter and LinkedIn based, on a custom schedule you create yourself. You can choose the days and times that you want to push out content, be it job ads, recruitment events, etc – without having to recreate the posts time and time again. The platform also gives you the power to see which companies’ employees are browsing through your content. You can then tag, search, segment and ‘watch’ those noteworthy candidates. Key Features: The platform alows you to create document templates to assist you in the recruitment process, with the addition of mail-merge fields to personalise your messages. The tool allows you to import contacts from your CRM system. Documents can be converted to allow for 1-click online signing, and a full audit trail means that you can prove when documents have been viewed or signed. ‘Shred on reject’ is a feature that allows you to ‘sandbox’ sensitive documents. 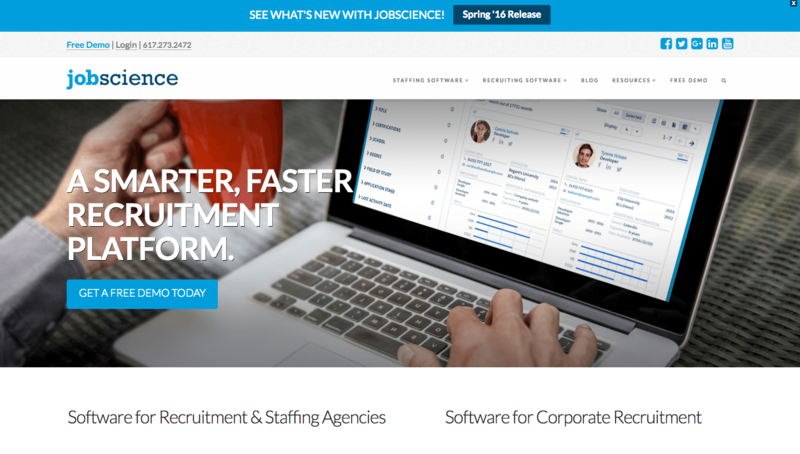 What’s it all about: Built on Salesforce, Job Science is split into software for Recruitment & Staffing Agencies and software for Corporate Recruitment. 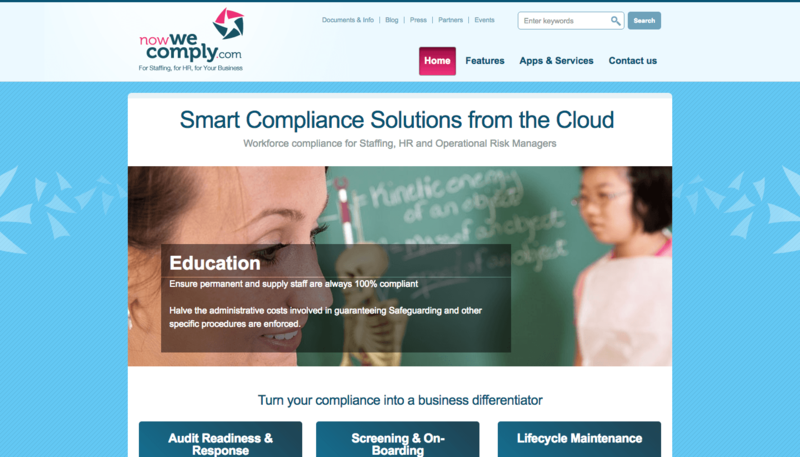 It covers the complete recruitment lifecycle from marketing and sales to billing and payroll. Their mission is to ‘deliver confidence in reliability and data security, along with commitment to social and mobile innovation.’ Job Science claim that their customers fill positions 25% faster. Key Features: The Job Science desktop resume tool allows you to upload resumes individually or in bulk. The applicant management system allows you to view, email and progress candidates with minimal clicks, while dashboards allow you to quickly understand your recruiting efforts and goals. Recruitment agencies can organise potential candidate’s details into client presentations, as well as put together packages of their top prospects by highlighting their work history, education history, and skills. Key Features: Automated job board posting means that all openings that are posted on your company website also get pushed out onto major free sites, including Indeed, Glassdoor and Simply Hired through the HireHive platform. The tool also allows you to schedule interviews across your organisation, set up employee referral campaigns and manage your candidate pipeline. Even if you don’t have a careers site, HireHive offers a full design template, so you simply need to add images and text to set up a personalised page to list your job openings. Get a free trial here. What it’s all about: Simply Cast is the world’s first customer flow communication platform, which is aimed at industries ranging from Agriculture to Transport and everything in between! Their mission is ‘to provide every business and organization with the ability to reach their customers on their preferred mode of communication’. The all-in platform includes over 15 channels of communication, including email, SMS, Facebook, Twitter, survey, contact management and more. Key Features: The 360 Automation Manager allows you to track anonymous and known leads from the moment they reach your website. Then you can take those leads and create campaigns that connect with each individual based on their unique interests and activities across multiple channels. You can also organise and categorise prospects with lists and tags and assign particular tasks to your colleagues so that no candidates fall through the cracks. 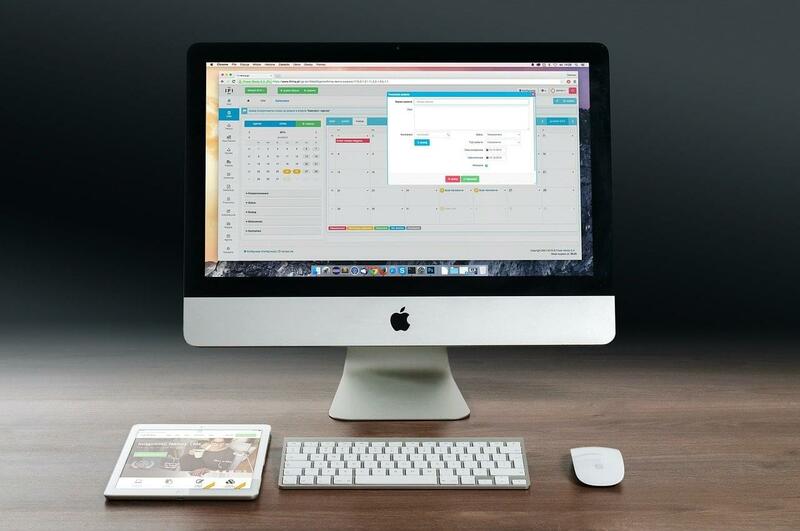 So what do you think – do you already use any of these automation tools? Do they shave hours off of your day? We want to hear from you – tweet us @SocialTalent and tell us about your experience with automation tools; which ones you love, which ones you don’t love so much and which ones have changed your lives for the better! Hiring for a startup is a delicate balance. You need superstar candidates that are flexible, can work quickly, have the potential to save the world all within budget. How do you find them!? H2 is on the horizon and what better time to catch up on 2018's recruiting trends so far! Start working smarter today by implementing some of these!